Date: 30.03.2018 | Chillout, Downtempo, Lounge, Lo&Fi | Tags: The Sounds of Middle East, DJ IVY V, Buddha Bar, Republic of Music, George V Records, Anatolian Sessions, Cihangir Cinar, Laroz Camel Rider | Download Buddha Bar - The Sounds of Middle East (by DJ IVY V) (2018) for free. In line with the Buddha-Bar Monte Carlo, George V Records returns with a new jewel: Buddha-Bar, sound of the Middle East. Mixed by our DJette resident of the Buddha-Bar Dubai, this compilation is resolutely deep and modern, while keeping the Arabizing and captivating DNA, signature of the Buddha-Bar since its creation. A true sound journey, this double opus promises to transport you beyond the borders, in a world with a soft and hypnotic atmosphere, as if coming out of a dream. Give free rein to your imagination and let yourself be captivated by this tale with the colors of the Milles and one night. 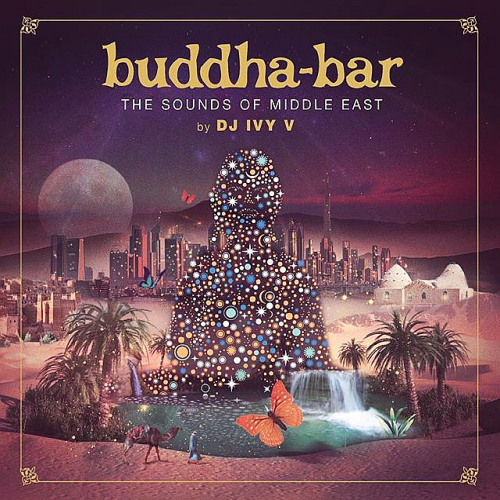 Buddha Bar - The Sounds of Middle East meeting in the huge amount of tracks on each day and the mood, and maybe the same attitudes and beliefs!